Unfortunately, there are many examples of cases where people have injured themselves or others or even killed themselves or others. The coach was one of three operated by the Aarschot-based Top Tours company and was transporting mostly Belgian school teachers and students from a skiing holiday in Val d’Anniviersback to their two schools in Belgium. It crashed at around 9.15 pm CET while travelling on the A9 motorway near Sierre, in the southern canton of Valais. It was Switzerland’s second-worst road accident in history and the country’s worst in a motorway tunnel. 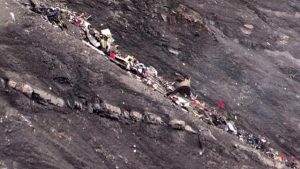 The investigation into the crash initially closed inconclusively in May 2013, having ruled out a number of factors that had been the subject of media speculation but failing to identify a cause. 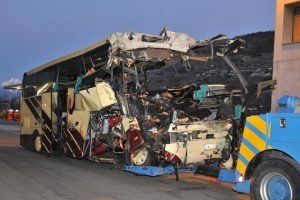 A further public investigation, closing at the end of June 2014, attributed the crash to a non-criminal error on the part of the coach driver. Media speculation has continued. The driver used an antidepressant and is suspected of having deliberately caused the accident to put an end to his life. The antidepressant in question, in combination with certain genetic disorders, would induce suicidal tendencies. The relatives want to know to what extent this has been mentioned. 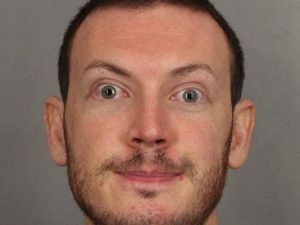 James Eagan Holmes (born December 13, 1987) is an American convicted on 24 counts of murder and 140 counts of attempted murder for the 2012 Aurora shooting that killed 12 people and injured 70 others at a Century movie theater in Aurora, Colorado, on July 20, 2012. He had no known criminal record prior to the shooting. 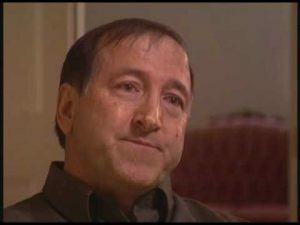 Holmes booby-trapped his apartment with explosives before the shooting, which were defused one day later by a bomb squad. Holmes was arrested shortly after the shooting and jailed without bail awaiting trial. Following this, he was hospitalized after attempting suicide several times while in jail. Holmes entered a plea of not guilty by reason of insanity, which was accepted. His trial began on April 27, 2015, and on August 24 he was sentenced to 12 consecutive life sentences plus 3,318 years without parole. Germanwings Flight 9525 (4U9525/GWI18G)[a] was a scheduled international passenger flight from Barcelona–El Prat Airport in Spain to Düsseldorf Airport in Germany. The flight was operated by Germanwings, a low-cost carrier owned by the German airline Lufthansa. On 24 March 2015, the aircraft, an Airbus A320-211, crashed 100 kilometres (62 mi) north-west of Nice in the French Alps. All 144 passengers and six crew members were killed. It was Germanwings’ first fatal crash in the 18-year history of the company. The crash was caused deliberately by the co-pilot, Andreas Lubitz, who had previously been treated for suicidal tendencies and declared “unfit to work” by a doctor. Lubitz kept this information from his employer and instead reported for duty. Shortly after reaching cruise altitude and while the captain was out of the cockpit, he locked the cockpit door and initiated a controlled descent that continued until the aircraft impacted a mountainside. In July 2003, at the age of 45, I experienced my first major depression. I started taking 40mg. of the antidepressant Paxil a day. By September, I was feeling mentally healthy again. After forgetting to take Paxil for a few days in February 2004, I weaned myself off the drug. I started to feel depressed again in July. My symptoms included insomnia, increased anxiety, rapid weight loss, low concentration and a lack of energy. I put myself back on 40mg. of Paxil a day. A few days after I started taking Paxil again, I was having suicidal thoughts. I thought I could get rid of the thoughts and recover more quickly if I increased my dosage. On July 17, I started taking 60mg. of Paxil a day. Three days later, I planned my suicide. I went from planning my suicide to planning a murder-suicide to planning a murder. On July 31, 2004, I killed my 11-year-old son Ian. I was charged with first-degree murder. In November 2004, I was diagnosed by one of the leading forensic psychiatrists in the world as being in a “major depression” with “psychotic episodes” when I killed Ian. In May 2005, his assessment was supported by another leading forensic psychiatrist, who was hired by the crown attorney. On September 30, 2005, I was judged to be “not criminally responsible on account of a mental disorder” for murdering Ian. I received an absolute discharge from the Ontario Review Board on December 4, 2009. I hope some of the information posted on this website can help prevent suicidal and homicidal tragedies. 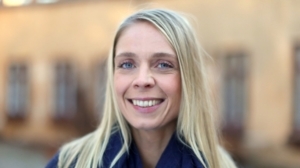 Silje Marie Strandberg was seriously mentally ill. She had a heavy schizoaffective and dissociative disorder diagnose. She heard voices, hallucinated, cut herself, had an eating disorder and repeatedly tried to kill herself. She was so sick that no one thought she could ever recover. But after 10 years in mental wards, 10 years of compulsion, isolation, electrolysis and heavy medication, she finally recovered and is now completely healthy. The difference was her psychiatric nurse, Lone. Lone went further in terms of proximity and self-interest. It’s almost like a miracle. This story is unique. A story of hope. But it’s also the story of a young girl with little self-confidence that lost 10 years of her life. Where did it go wrong? Did she have to go through 10 years of torture in mental wards? These are the answers Silje Marie is looking for in this documentary.